This is one of what Sarah calls her 'scrapheap challenges'. 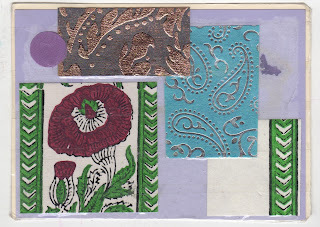 I've just looked and Sarah's last posting at Mailart 365 was 299! She is in the home stretch. Gorgeous patterns and a colour study that may make it into one of my paintings. Thank you Sarah!